Welcome back! Can you believe it's SEPTEMBER? How did that happen? One thing I know for sure. I'm excited about blogging this Fall - I've got lot's of exciting posts and gift ideas to share with you in the months ahead. 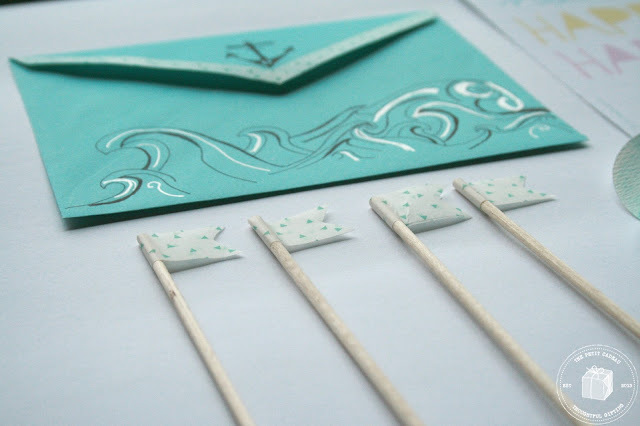 I wanted to kick off this month by sharing a little snail mail inspiration with you. There is absolutely nothing better than opening your mailbox and finding a fun little envelope or package (something other than bills and advertising). It's the perfect way to brighten someone's day. Grab some stamps and try it! I jumped at the opportunity to participate in the August Snail Mail Collective. I was matched with a "pen pal" named Catriona, in Scotland. Not going to lie, despite living next to the ocean, the theme "under the sea" really left me scrambling, but, I think my end result turned out ok. I took inspiration from ocean colours - blues and greens to create my mail. The envelope or packaging is important (in my opinion) because it's the first thing a person sees when it comes out of the mailbox. I drew abstract waves in black and silver pen on the outside of a blue envelope, along with an anchor. 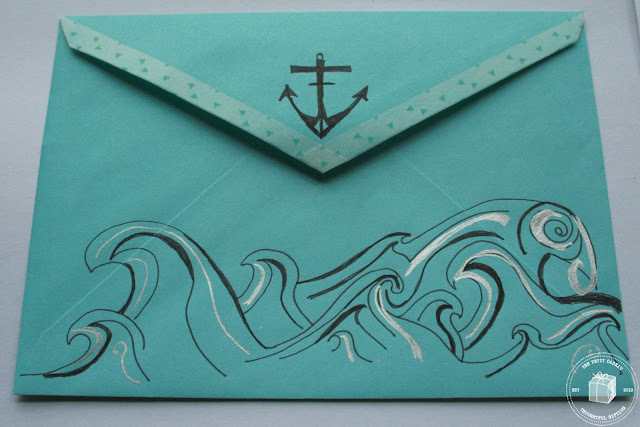 Washi tape was perfect for outlining the envelope flap. Catriona told me that she loves to entertain, so I started by making a set of festive washi-tape cake flags. 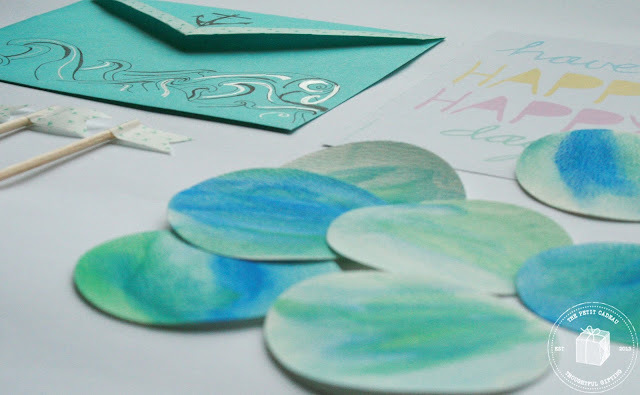 Then I punched out large confetti circles from watercolour paper and painted them in ocean hues. Perfect for putting out on the table at a dinner party. My note was written on the back of an inspirational postcard, available for free from the green gal. I've been sending out other snail mail too. Stay tuned for an upcoming post featuring some of the gifts I've been making and sending. So wonderful to have you back - see you next Thursday!